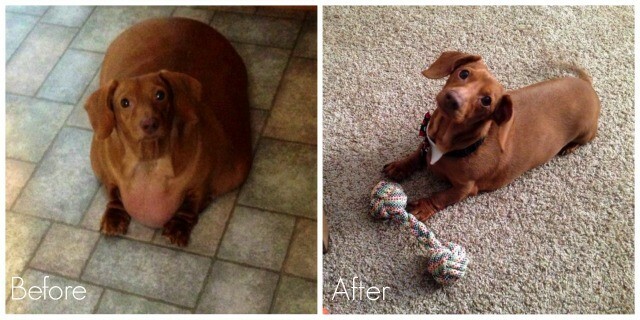 Dennis the Dachshund and his pet mama, Brooklyn Burton, appeared on the Steve Harvey Show to show off Dennis’ amazing 44-pound weight loss with Diamond Naturals. To help Dennis and Brooklyn keep pet parents motivated, Diamond has created a social media awareness campaign #MoveThosePaws that will be used to share exercise photos and videos. According to the Association for Pet Obesity Prevention, 52 percent of dogs and 58 percent of cats in America are overweight or obese – that’s more than 99 million pets in the United States suffering like Dennis was. Pet obesity shortens lives by 1.8 years (nearly 22 months), on average. Brooklyn and Dennis were surprised with amazing news on the show: Diamond Pet Foods made a $5,000 donation to launch Dennis’ Legacy Fund at Ohio State University Veterinary Medical Center, a special fund to help fight pet obesity. Remember – always consult your veterinarian before changing your pet’s lifestyle. Join Brooklyn and Dennis by using #MoveThosePaws to share photos and videos of you and your pet in motion!